In today’s IT landscape, data centers and their networks are the lifeline to your business. Although the idea is simple, the execution is not – leaving IT departments looking for new ways to optimize data center and network performance. 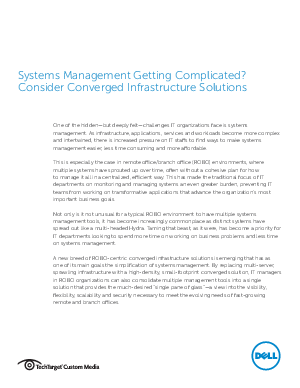 This informative guide explores the importance of infrastructure convergence and outlines the key benefits of this strategy, including: - Enhanced data center efficiency - Simplified systems management - And more.